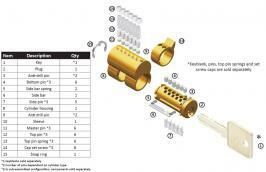 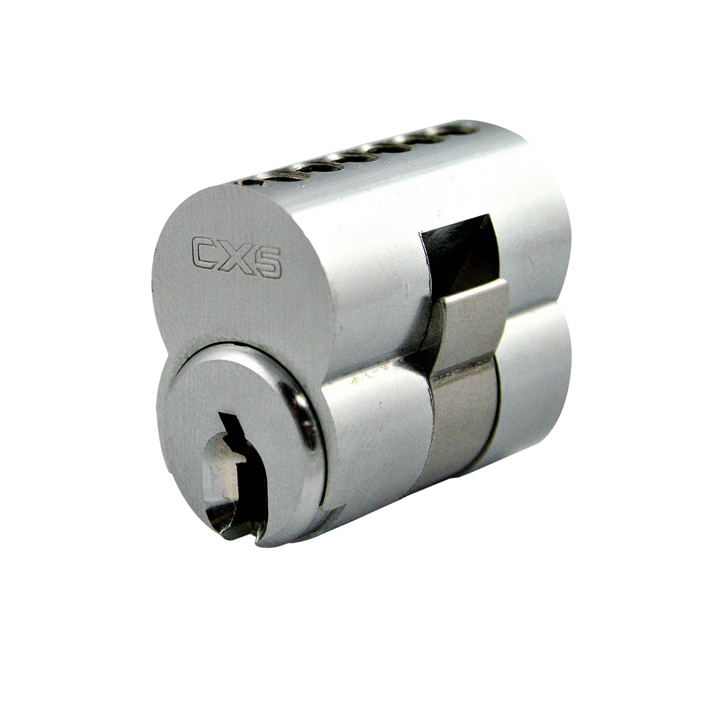 The CX5 Small Format Intechangeable Core (SFIC) Cylinders is similar to other popular SFIC in the market such as "BEST®" with regards to its functionality but with the added security of the sidebar mechanism. 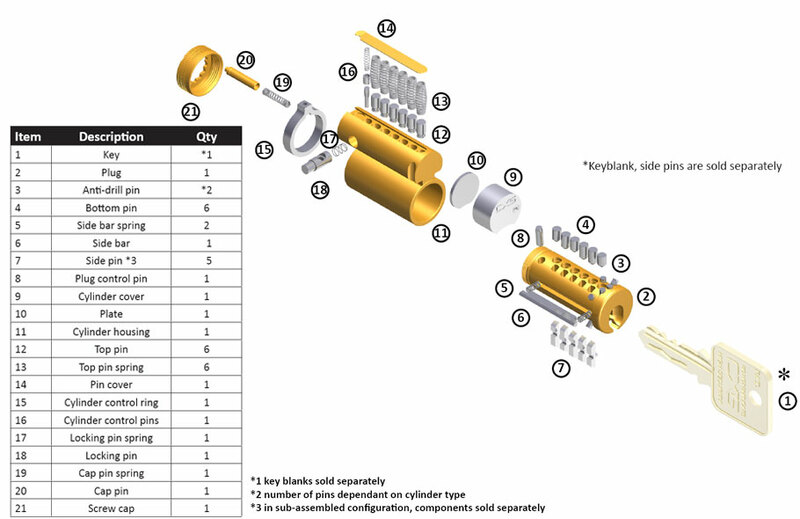 The sidebar mechanism rests inside the plug of the core making it unnecessary to dismantle to combinate or pin the cylinder. 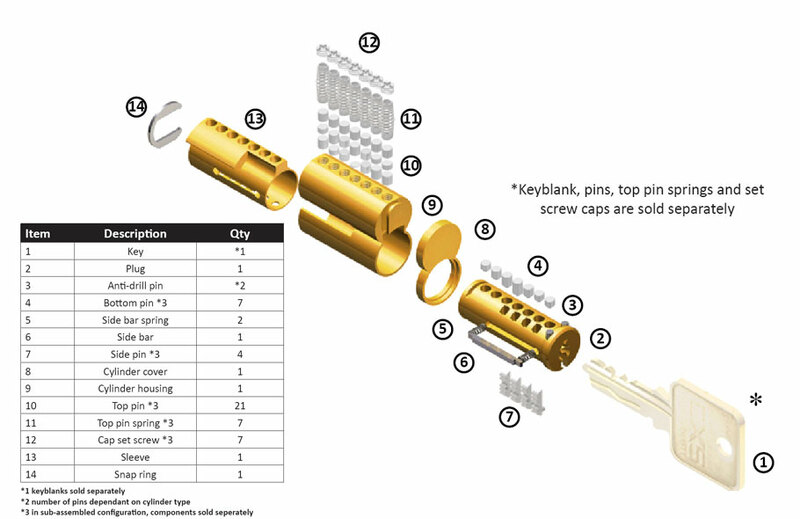 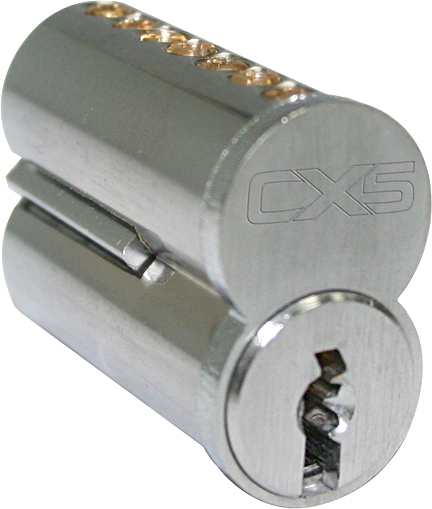 There are two CX5 SFIC configurations available, 6-pin and 7-pin. 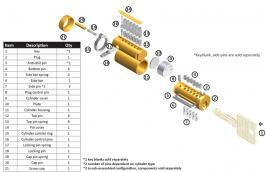 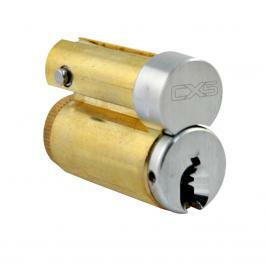 The CX5 SFIC cylinders are available in 26D, satin chrome finish. 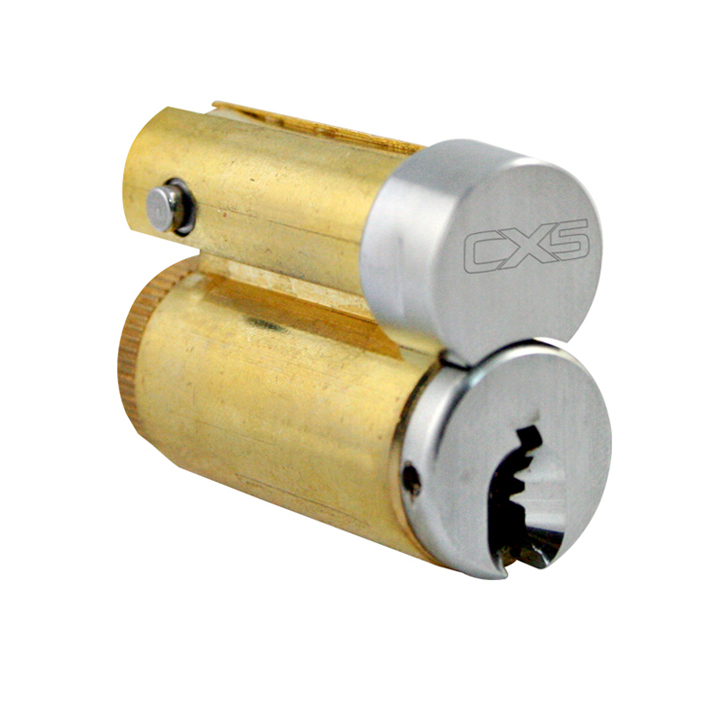 The CX5 Large Format Intechangeable Core (LFIC) Cylinders is available in two different configurations; "Schlage®" and "Medeco® " format. Both types are 6-pin configurations.